Complies with new European standard DIN EN 131-7. Quick and easy assembly due to new connectors made from aluminium extrusions. 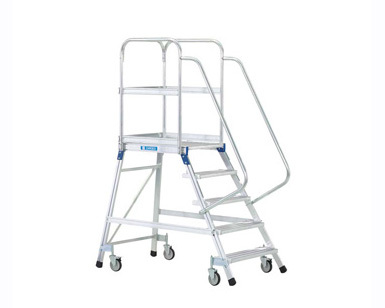 Comfortable ascent through treads with a depth of 200 mm. 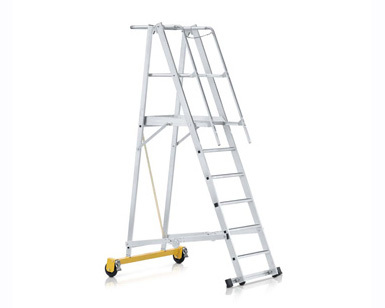 Spacious platform, 600 mm x 800 mm. Mobile and ready for operation in no time with four sprung swivel castors (two of each with brakes). 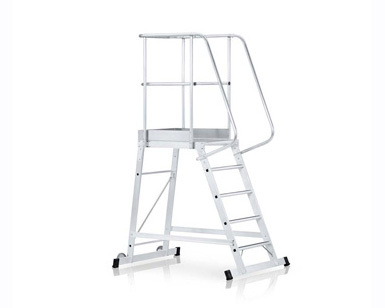 Maximum safety through platform railing at a height of 1.00 m on three sides. 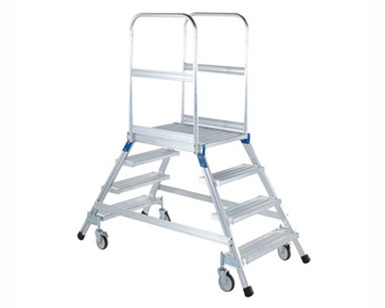 Version with treads and platform made from aluminium alloy.